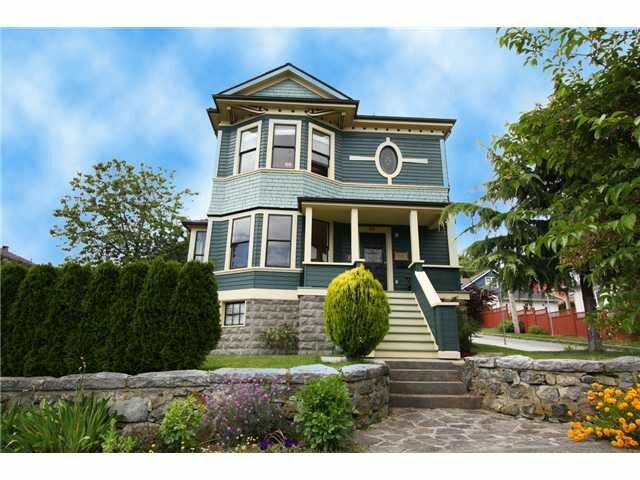 It's my pleasure to present this beautiful, 2580 sf, 3 bdrm & den, 2 bath, 1893 heritage "Sidney Pierce" house. Located at the "Brow of the Hill" in uptown New Westminster this home boasts pride of ownership thru-out. Beautifully &completely restored 5 years ago w/new insulation, drywall, wiring, plumbing, new huge country kitchen w/island, s/s appls & sandstone counters. Many original features including fir floors, claw tub upstairs, bright large bay windows & 10' ceilings complete this lovely home. Located on a fenced in corner lot perfect to entertain year round & is low maintenance. Walking distance to all the amenities New West has to offer, Queens Park, theatre, shops & transit.